Valentine's Day is so much fun when you're a kid - the mailboxes, the valentines, the decorations, the party.....! As a classroom teacher, I get to go back to my youth and celebrate those fun traditions year after year! 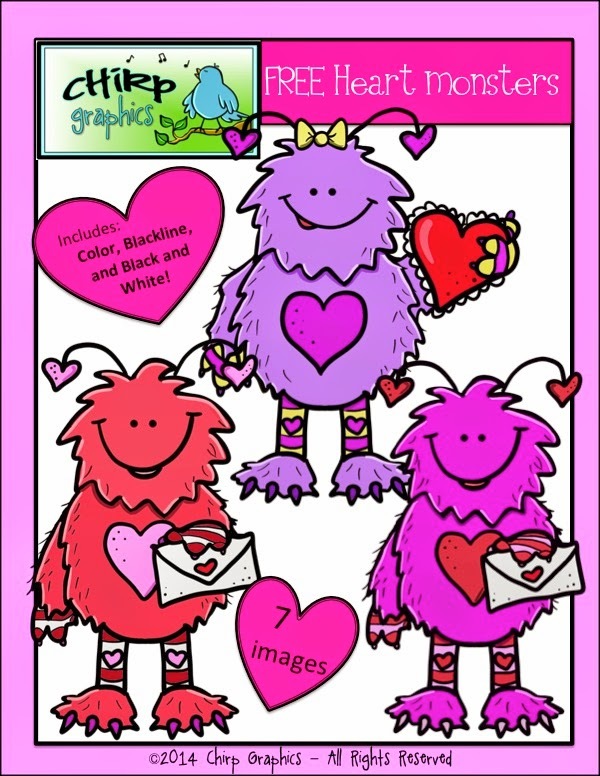 In honour of Valentine's Day, I've created some Valentine's Day clip art sets which I'd like to give away for FREE! My latest set is the collection of cutie pie Heart Monsters posted below. Pick it up in my shop by clicking on the image or the link underneath it. If you don't want to miss my next freebie, make sure that you follow my shop when you get there.